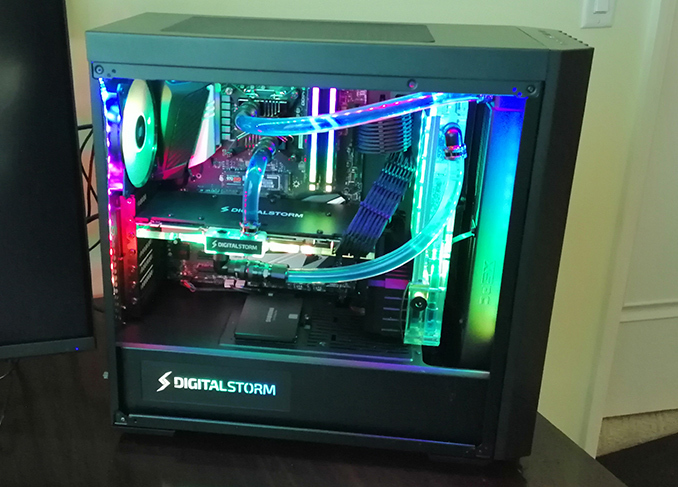 Digital Storm is known for beautiful-looking gaming PCs semi-customized but mostly built from off-the-shelf components. In a bid to differentiate itself from other makers, as well as DIY builds, the company plans to move away from standard cases and use only unique build-to-order chassis for all of its systems, including the entry-level Vanquish series. 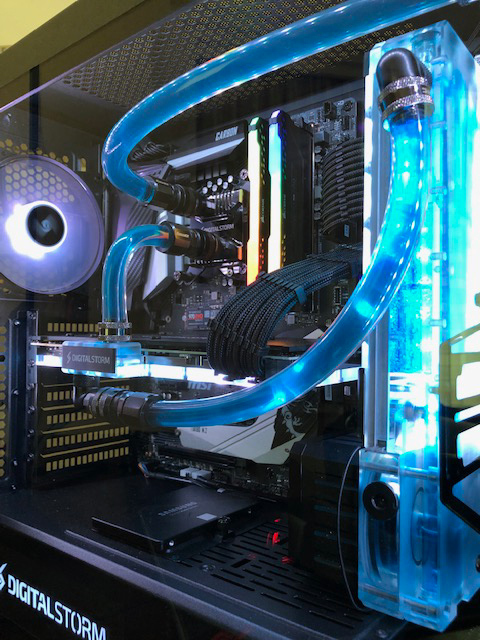 The first of such PCs was demonstrated at CES earlier this month. The new chassis for Digital Storm’s Vanquish computers is a dual-chamber PC case that can house an ATX motherboard, a custom or all-in-one liquid cooling system with a 360-mm radiator, multiple fans, several storage devices, programmable RGB lighting (which is generally designed into various components like coolers or motherboards), a tempered glass window, and so on. 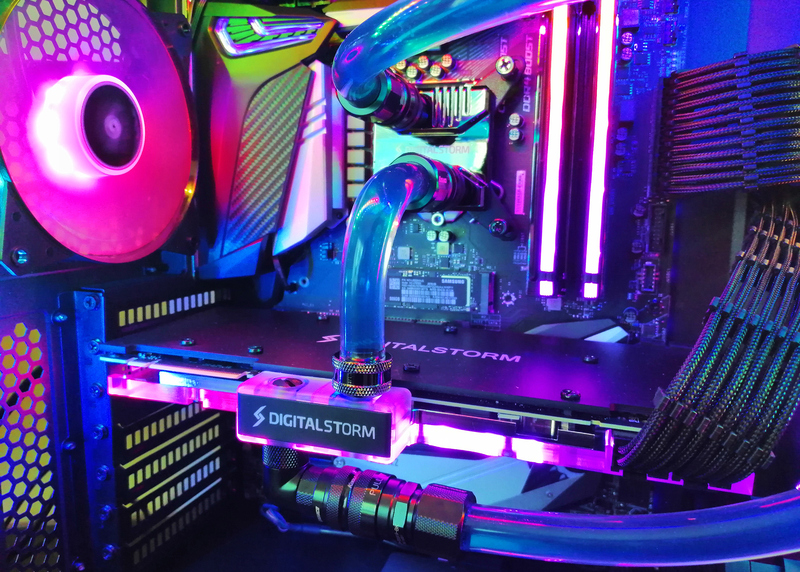 The front panel of the case carries Digital Storm’s logo, two USB 3.0 Type-A ports as well as 3.5-mm audio connectors. 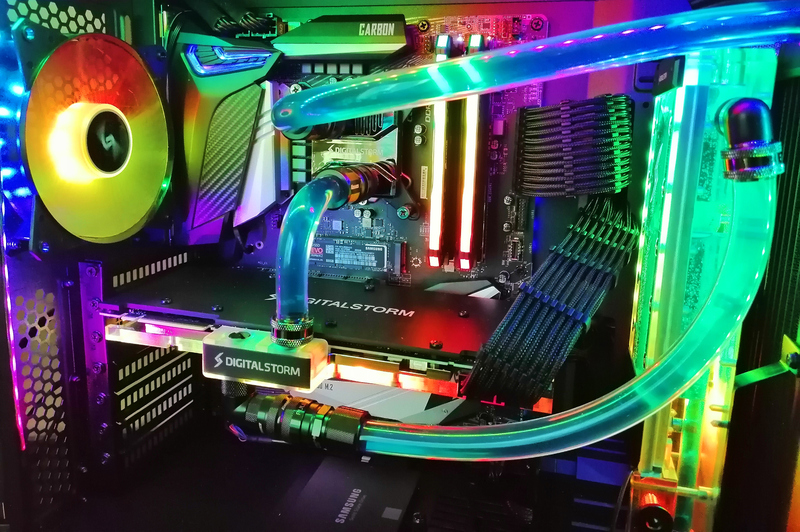 A particularly noteworthy feature of the upcoming Vanquish PCs is a large PSU chamber that can accommodate a power supply of almost any length. This compartment enables Digital Storm or its customers to install a 1000+ W PSU for an ultra-high-end system. Another interesting capability is built-in hardware monitor that displays temperature and other data about the status of the system. 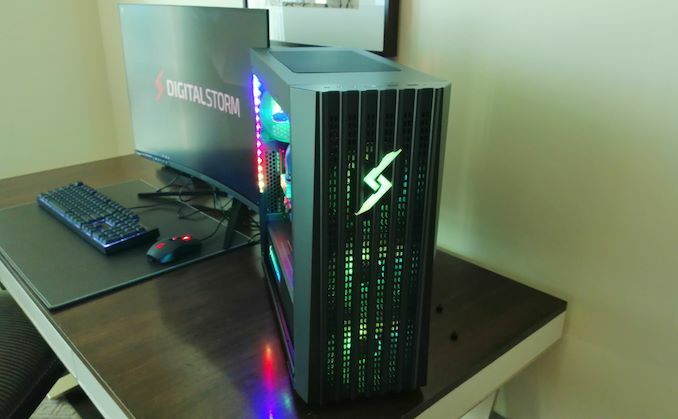 Digital Storm’s upcoming Vanquish PCs will sustain their entry-level pricing that starts at $699, but will feature an exclusive design and features, a rare event in this price class. In total, the company will offer four versions of the Vanquish later this quarter.